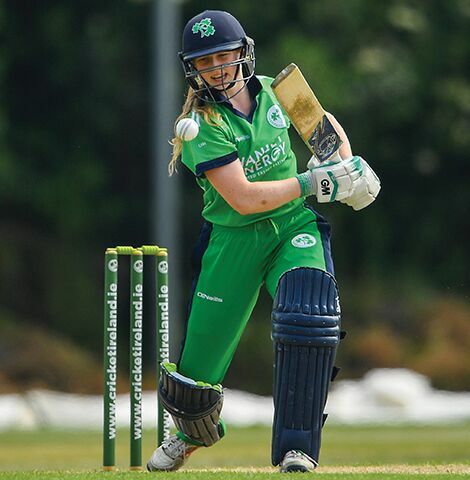 DCU scholarship athlete and Irish international cricketer, Una Raymond-Hoey, has been awarded an overseas development scholarship. While in Australia, Raymond-Hoey will play with South Perth CC and undertake her INTRA placement with the Western Australian Cricket Association. “I’ll be traveling to Perth after our exams at the end of January for 3 months and playing five 50-over matches for South Perth CC,” Raymond-Hoey told The College View. Raymond-Hoey worked with Enda Murphy over the summer in DCU and is now looking forward to getting experience with high level athletes. “I’m able to pursue this opportunity as I was one of four recipients awarded an Overseas Development scholarship from Devenish Nutrition and Cricket Ireland this week,” she said. This season was Raymond-Hoey’s return to cricket after a 17 month layoff due to a torn ACL. Her first match back after the layoff, made longer due to the timing of cricket seasons, was for Ireland against Zimbabwe in Harare. “My first match back following the injury after a 17 months layoff was for Ireland against Zimbabwe in Harare last February,” she said. The 21-year-old praised DCU and Ross Munnelly, who were both a huge support for her, both when the injury occurred and through her recovery. Raymond-Hoey says the 2018 series has been the most enjoyable so far in her career and this summer she captained the Ireland A side in Scotland and opened the batting for the senior women against New Zealand. “Obviously no one wants to be injured, but I think it made me reassess what I wanted in my career and the work I was willing to put in to try and achieve that,” Raymond-Hoey said.